Insurgent is almost as incredible as its predecessor, its pages so jam packed I’m surprised the words didn’t come spilling out when I opened it. It’s full of non-stop action, and it is truly heartbreaking. I believed every word. I was blown away by Divergent, and I think it’s way up there in my top five books of all time. Insurgent comes close, but it doesn’t have the same smooth structure that made Divergent easy to absorb. However, I think I just needed to slow down a little, and take it all in properly rather than rushing through it because I was so desperate to find out what happens next. It’s really inspiring though. Did you know that Veronica Roth is only 23? Also, I’ve heard that she’s sold the film rites. Exciting much? 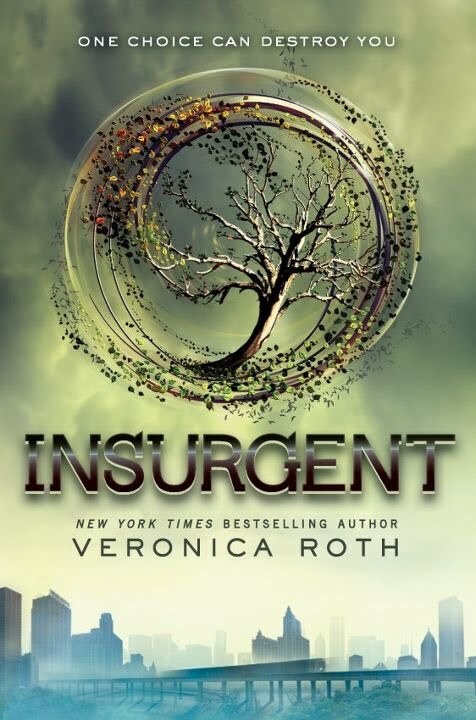 The romance, friendships, family relationships, secrets, lies and gut wrenching story lines in this novel led me to the conclusion that Insurgent, just like Divergent, is thoroughly deserving of a five star rating.